Kate Spade Hard Shell Case for iPhone 7/8 iPhone 6s iPhone 6 (Glitter Ombre Pink). Show off your personal style with the playful sophistication of kate spade new york. Featuring Kate Spade New York's iconic prints. Protect your device in style with the Kate Spade New York Hybrid Hardshell Case for iPhone® 6 /6s. A glossy finish enhances the overall style and gives your device a unique look and feel. Kate Spade Hybrid Hard Shell Snap Case for iPhone 6/6S 4.7" ( Scattered Pavillion/Dots). Kate Spade Saffiano Leather Wrap Case. Premium Saffiano design for iPhone 7 Plus case. Show off your personal style with the playful sophistication of kate spade new york. Styled in kate spade new york’s signature colors and materials. Premium Saffiano design for iPhone 7 case. kate spade new york Wrap Case. Show off your personal style with the playful sophistication of kate spade new york. Styled in kate spade new york’s signature colors and materials. But don't let that distract you. Kate Spade Liquid Glam Case Cover for. Glitter Is My Favorite Color. Cascading liquid glitter sparkles and shines. iPhone 7 Plus & iPhone 8 Plus. We distribute iPod & iPhone accessories worldwide. Show off your personal style with the playful sophistication of kate spade new york. Kate Spade New York Protective Hard Shell Case. Featuring Kate Spade New York's iconic prints. For iPhone 7 Plus / iPhone 8 Plus. Item is Lightly Used ! Kate Spade New York Protective Hardshell Case for iPhone 7 (Diagonal Stripe Blush). Show off your personal style with the playful sophistication of kate spade new york. Featuring Kate Spade New York's iconic prints. Kate spade's signature style, all in a bundle that's wrapped and ready to gift! The Protective Hardshell Case. Show off your personal style with this premium, fashion-forward print. The Protective Hardshell Case is co-molded with an impact-absorbing bumper for double the protection without the added bulk. 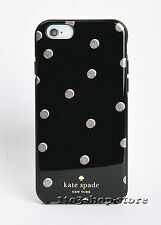 Kate Spade Protective Hardshell Snap Case Cover. Premium signature kate spade new york graphic prints and colors. - Dancing Hearts Clear/Silver Foil/Gold Foil. For iPhone 7 / iPhone 8 & iPhone 6 / iPhone 6s. Kate Spade New York Gold Stripe Print Hybrid Hardshell Case for iPhone 6 & 6S 840076146277. For iPhone 6 iPhone 6s (Candy Stripe Gold/Cream). (Only fits iPhone 6 & 6S). 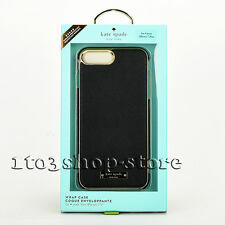 Kate Spade Hybrid Hardshell Case Cover. Genuine AuthenticKATE SPADE NEW YORK Case! Liquid Case. Great Deal! Co-molded hardshell case and shock-resistant bumper provide long-lasting protection. Premium signature kate spade new york graphic prints and colors. Glossy finish enhances the overall style and creates a sleek look and feel. 100% Authentic Kate Spade Case! Ships in 24 Hours. Kate Spade's styling and protection for your iPhone 8 plus/7/plus/6plu or 6S plus. Case and attached ring stand. Styled in kate spade new york’s signature colors and materials. Featuring kate spade new york’s signature gold logo detail. Check-Out Now! Kate Spade New York Hardshell Case for iPhone 8 iPhone 7 Clear Floral NO RING!!! The Protective Hardshell Case. Show off your personal style with this premium, fashion-forward print. The Protective Hardshell Case is co-molded with an impact-absorbing bumper for double the protection without the added bulk. Kate Spade New York Gift Ring Stand Hardshell Case for iPhone Xs Max 6.5"
Kate Spade New York Protective Hardshell Case. For iPhone X / iPhone XS (Multi Blossom Pink/Gold with Gems). We distribute iPod & iPhone accessories worldwide. Glossy Finish: Our sleek finish enhances the overall style and can be easily slipped in and out of pockets. Kate Spade New York Case. 🌻 Fits IPhone 7 Plus or iPhone 8 Plus. Kate Spade New York Hybrid Hardshell Case / Cover For Apple iPhone 6 iPhone 6s in Confetti Multi Color Dots / Aqua Teal Blue / White Colors. Give your iPhone 6 iPhone 6s the style and protection it deserves with the Kate spade new york Hybrid Hardshell Case. Protect your device in style with the kate spade new york Hybrid Hardshell Case for iPhone® 6 Plus or iPhone 6s Plus. A glossy finish enhances the overall style and gives your device a unique look and feel. Kate Spade New York Case. 🌻 Fits IPhone XS Max. 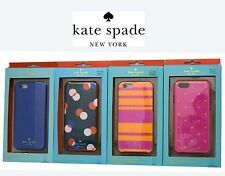 These are USED Authentic Kate Spade Cases for iPhone 8 or 7. You are buying a Kate Spade Playful & Strong Case for iPhone X & XS - Liquid Glitter w/ Champagne - NEW OPEN BOX. Case will fit iPhone X / XS. Kate Spade Gift Set Ring Stand & Hardshell Case for iPhone X 5.8"